I love pictograms and symbols and trying to convey meaning in its simplest form. 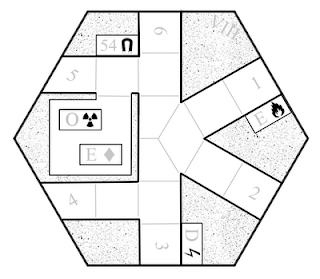 And I always loved the idea of the danger room for heroes, because, well it's a lot like exploring a dungeon-- you don't know what to expect. Also, you can play it solo. This time when a trigger fires, heroes have a specific hazard to negotiate. 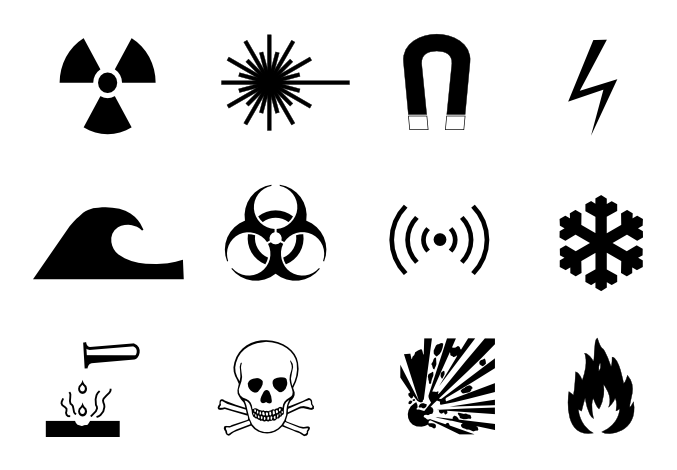 Lasers, poison gas, acid, magnetic fields. 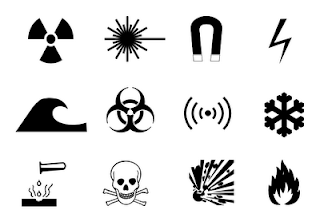 I know it should probably be a bit more specific than the damaging energy type for the danger room hazard, but maybe you could devise symbols to represent turrets, walls, robots and the like. Instead of treasure heroes might need to get flags or such. I actually like the abstract nature of the symbols. The water wave for instance could mean both "flooding" and "water weird". I agree with Jensan, the abstract nature of the icons works really well. Hell, I could even see there being a couple of different monster icons of a similar type - single or weak monster, group of monsters, dangerous monster for example. Each represented by an increasing number of heads? Or skulls? @David: multiples of the same symbols was something I considered. 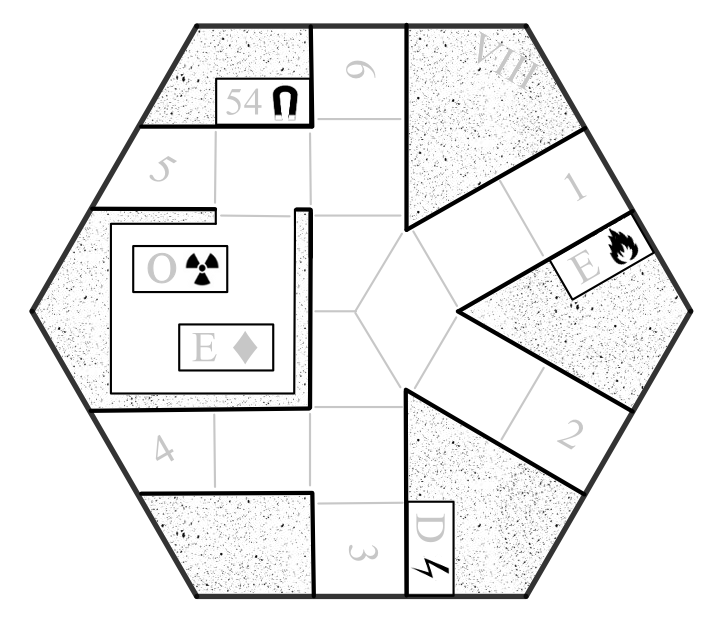 For example, 1 to 3 diamonds to represent three levels of treasure goodness. It's just a balancing act to try and keep things simple. And since the system as it stands requires you to determine treasure and monsters anyway, quantity could be offloaded to that step. Reminds me of Iain Bank's "The Wasp Factory". Can I get a what what?